As one of the annual activities to provide technologies, products and best services to our customers and partners, to continue to participate ASUZAC ACM Vietbuild 2014 events. The event will begin from 25 to 29 March 2015, at the Vietnam Exhibition Centre (VEFAC) 148 Giang Vo street - Ha Noi. Customers and partners at the exhibition will have the opportunity to reach the product, design and the latest technology from ASUZAC ACM.The consultants are always ready to take advice on building and architecture for customers to visit our store. 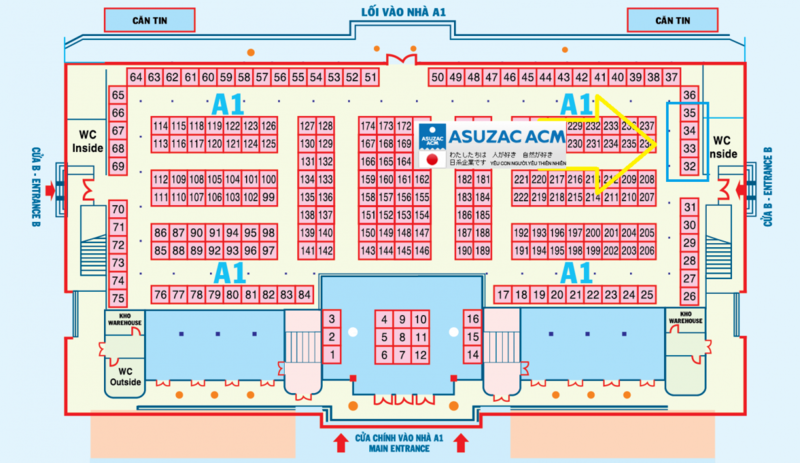 During this exhibition, the aluminum casting products of ASUZAC ACM display at the booth No. 32-33-34-35, you can refer to diagram the instructions below. The information and photos next event will be updated on ASUZAC ACM homepage.